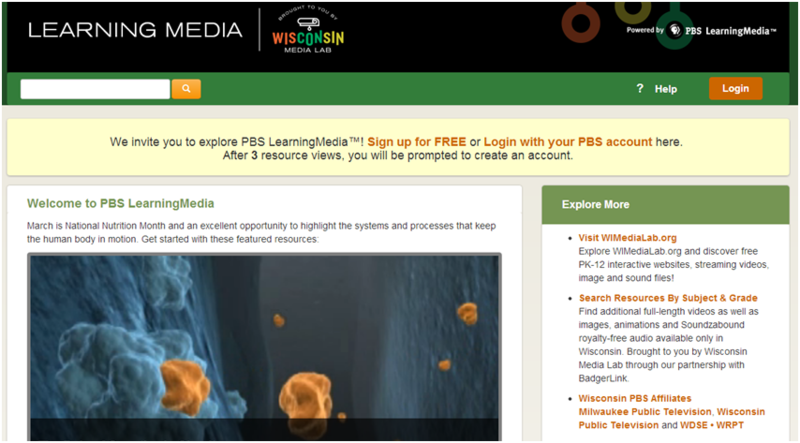 An updated version of PBS Learning Media has recently been released. This is a high quality, easily accessible and freely available classroom resource portal for PK-12 educators. If you have previously used Teachers’ Domain you should note that PBS Learning Media serves as a replacement site; individual account information and folders have automatically migrated during the transition. All previous content remains available, plus PBS Learning Media includes many new features such as integration of State Standards. If you haven’t used Teacher’s Domain in the past or tried out PBS Learning Media you should definitely check it out. This resource provides direct access to classroom-ready, curriculum-targeted resources. It includes thousands of digital resources from PBS programs like NOVA, Frontline, American Experience, and Sid the Science Kid.